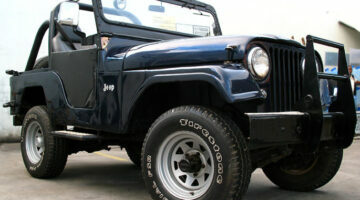 Routine maintenance is an important part of owning a Jeep -- especially if you take your Jeep offroad! Here, Jeep owners are sharing their favorite DIY Jeep maintenance tips, plus step-by-step tutorials for DIY Jeep repairs you can do yourself. For some, wearing the battle scars you incur when taking your Jeep off-road is a source of pride. But if your Jeep is your daily drive and offroad usage is only a secondary function, then you may want to replace some bodywork from time to time. 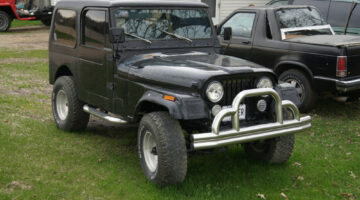 Here’s what I’ve learned firsthand about replacing Jeep body panels yourself. 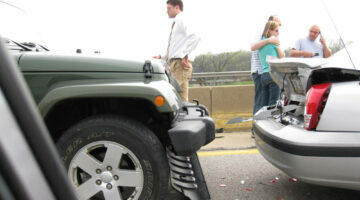 Do you know what to do in the event of a Jeep accident? (I thought I did. But I was wrong.) Your Jeep might be able to take a hit with no problems, but that doesn’t mean you should just exchange insurance info and drive off. Learn from my mistake… Here’s what you should do if your Jeep gets rear-ended! When I had my first Jeep, I was a little hesitant to get under the hood. 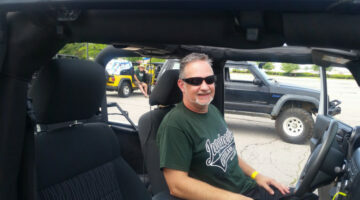 If you are too, here are my best tips to help you get comfortable with working on your Jeep. Tackle these simple Jeep maintenance projects first. Then you can move onto more challenging things after that. Before you start a DIY Jeep project at home, be sure to do these 6 things first. Trust me, I’ve learned firsthand what a difference these simple Jeep safety tips have on the outcome! These are my best tips to stay safe when working on your Jeep. Small rocks and tree branches can easily take out your Jeep’s windshield (or a window) if you’re not careful! Is your Jeep windshield already cracked? Here’s my advice about repairing vs. replacing a cracked windshield. Before heading off road, you should put some thought into what tools you need to put in your offroad toolbox. At a bare minimum, you’ll want to have the following items on hand. It is important to take every precaution to protect your soft top and vinyl/plastic windows — if you want them to last a long time without cracking, scratching, fading, yellowing, or fogging. Here’s how to do it: First, tips on how to clean Jeep windows. 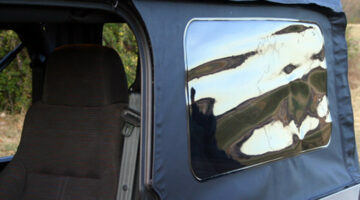 Then, tips for protecting Jeep windows & which products to use.